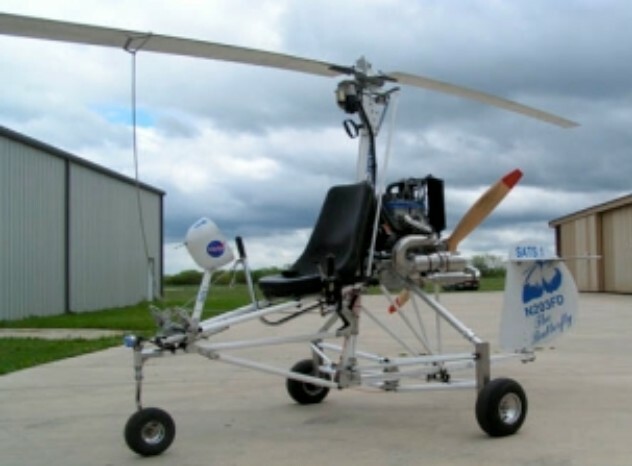 A single-seat open frame centerline thrust gyroplane with an adequate horizontal stabilizer. Powder coated square and round tube aluminum airframe. Electric or belt drive pre rotator with rotor brake. GRS Parachute available. Fits in the back of a pickup with the 58" wide gear.